Rodeo and Music, West Texas Style! 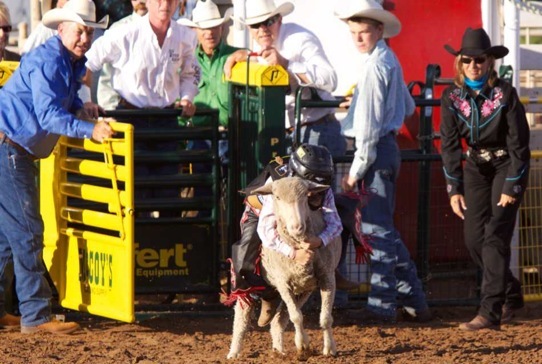 The 81st Annual Coleman PRCA Rodeo will be hosting Kid's Mutton Bustin'. Mutton Bustin' has become a popular addition to Rodeo Performances and is similar to the Grown-up Cowboy rough stock except that the youngsters will ride SHEEP.